Buckets! Of Blooms! For Businesses! The foundation of my business has been built in partnership with local restaurants. They were the first ones to sign on to what I was doing and that has continued to grow as HBG has grown. Now that we are transitioning to mainly cut flowers, I'm so excited to see our partnerships with other businesses bloom (insert nerdy snort here- I LOVE PLANT PUNS!). This year we're growing our Blooms for Businesses program. What started as a question from Jami at The Savory Grain ('Can you bring me flowers for my tables?') has turned into a full fledged thing of its own. Thank you, Jami! Here's how it works: Businesses subscribe to either weekly or every other week deliveries. 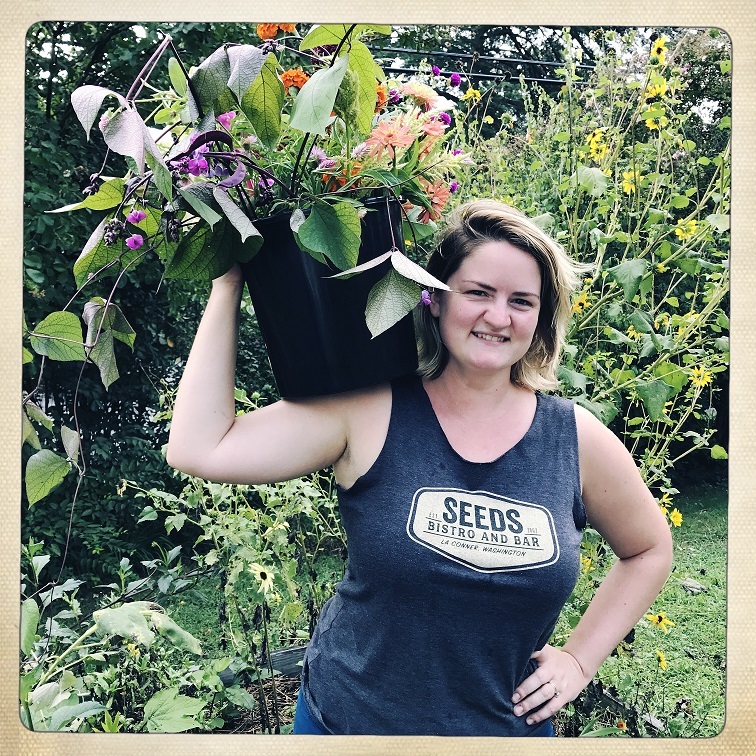 Starting in Mid-May (weather permitting) your business will receive a bucket (like the picture) full of blooms, herbs, and greens grown by us. Deliveries are Thursdays. From there, you get to play! Use them to make arrangements for your office, homes you are showing (hey, realtors! ), your restaurant tables, anywhere where flowers are welcome (and where are they not welcome?!). On our next delivery day we will grab the empty bucket when we drop off the new one with flowers. And that's it! Payments will be split in half so you don't have to lay down a bunch of cash all at once. You pay half when you sign up (either via PayPal or snail mail check) and the other half in April. You can expect 70ish stems in your bucket (this will vary slightly depending on the season). Blooms for Businesses is open to all businesses and I welcome any questions you have! If you're ready to sign up, go here! You'll find Blooms for Businesses at the bottom of the page. Come on, Spring! Late summer blooms making our stoop beautiful.